and get 5% off labor! For many households refrigerator is one of the most important appliances. Its failure can cause a lot of trouble for the whole family, especially in the summertime, when most of the products are likely to be thrown away. That's why it is so critical to call technicians right away, whenever you have noticed that your fridge is malfunctioning. The most popular symptoms are the following: refrigerator makes more or less noise than usual, refrigerator is shaking, it makes strange sounds, it produces insufficient or excessive cold. The reasons for that can differ from freon leakage, to compressor's failure, to damaged electronics. Invite a certified technician from Sunny Appliance Repair and join thousands of happy customers all around the San Francisco Bay Area including Marin, San Mateo, Alameda and Contra Costa Counties. Results are very satisfying! Are You Intrested in What Our Customers Think About Us? Max did a great job fixing the dryer. Max did a great job fixing the dryer. He was quick and went to pick up the part needed in record time. He was courteous and appeared to be very knowledgeable . I liked that he explained the problem then showed me how it was working properly. Thank you Max! I highly recommend Max - I had an issue with the dishwasher drainage and he was very efficient at tackling the issue. I had to catch a flight that night and didn't have much time and he was very helpful and very patient. Thank you Max. My dryer broke and Ron was was able to stop by within the hour. After inspecting, he found the circuit board burnt out. He ordered the board asap and fixed it on Christmas weekend!!!!! You can't get service better than that. We will definitely use Sunny Appliance Repair! Our air conditioning broke at the worst possible time - during a 95+ degree weekend! 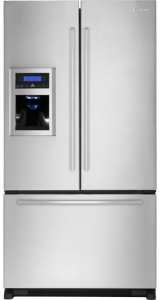 We were in desperate need of a technician, and were so pleased with Sunny Appliance Repair. They were quick to get back to us to make an appointment, and our technician Serge was so professional and quick to fix the issue. Serge went into our backyard to take a look at the AC unit and saw that the fan wasn't working. He assessed the condenser and determined that we had 3 separate issues that required repairs. Because he didn't have all of the parts on hand, he made a quick run to Home Depot, and was back in 20 minutes with everything he needed. After Serge replaced everything, he did a check at each vent in the house to make sure cool air was coming through. The entire repair took less than an hour and a half - amazing! When sears expected me to wait 2 weeks with a broken fridge before they would send a technician, Max from Sunny Appliance Repair came out the very next day, diagnosed the issue, and came back with the part to fix it the day after. Max was professional, thorough, and let me peak over his shoulder as he worked. I can't recommend them enough! No matter where you bought it, we can fix it. We repair all major brands, makes, and models. The condenser coils are usually located under the refrigerator. They dissipate heat as refrigerant passes through them. If the condenser coils are dirty, they won’t dissipate the heat effectively. As debris builds up on the coils, the refrigerator becomes less efficient, causing the refrigerator to work harder to cool down. If the coils are significantly dirty, the refrigerator will not be able to maintain the proper temperature. Check the condenser coils to determine if they are dirty—if the condenser coils are dirty, clean them. To determine if the water supply tube is frozen, disconnect the tube at the bottom of the door and blow air through it. If air does not pass through, this indicates that the water supply tube is frozen. If the water supply tube is frozen, thaw it out. In addition, ensure that the freezer is kept at the proper temperature. The freezer temperature should be kept from 0-10 degrees Fahrenheit. If the freezer is too cold, the water line may freeze. The water inlet valve opens to supply water to the dispenser. If the water inlet valve is defective, or if the water pressure is too low, the water valve will not open. The valve requires at least 20psi to function properly. Make sure that the water pressure to the valve is at least 20 psi. If the water pressure is sufficient, use a multimeter to test the water inlet valve for continuity. If the water inlet valve does not have continuity, replace it. The home may have insufficient water pressure. The water inlet valve supplies water to the water dispenser. The water inlet valve requires a minimum of 20 psi to function properly. Check the water flow and test the pressure to determine if it is at least 20 psi. The dispenser control board governs most of the functions of the dispenser system. If the control board is faulty, it may stop supplying power to the entire dispenser system. If only one dispenser part is not working, test each of the dispenser components before testing the control board. It is more likely that a single part has failed. If the entire dispenser system is not working, the control board is more likely to be at fault. The dispenser switches send voltage to the dispenser. If one of the dispenser switches is defective, the dispenser will not work. To determine if a dispenser switch is defective, use a multimeter to test each switch for continuity. If a dispenser switch does not have continuity, replace it. A clogged water filter can restrict the flow of water to the dispenser and prevent the dispenser from working properly. The water filter should be replaced about every six months to maintain proper water flow and ensure water quality. 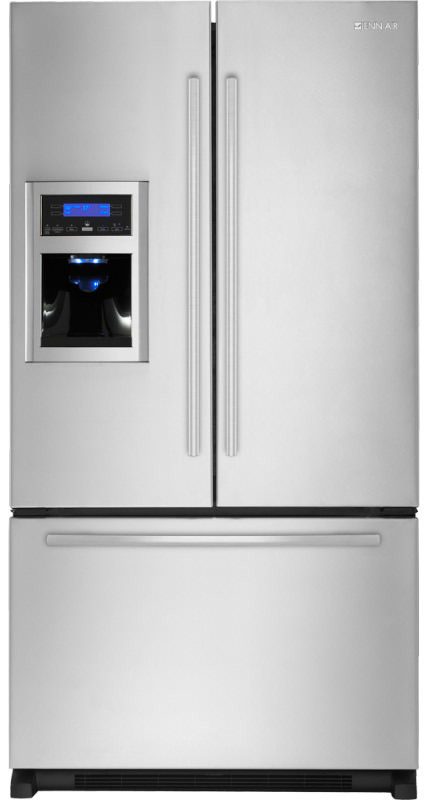 The door switch turns off the ice and water dispenser when the refrigerator door is open. If the door switch fails, the dispenser will not turn on. To determine if the door switch is defective, use a multimeter to test it for continuity. If the door switch does not have continuity when activated, replace it. If the freezer temperature is above 10 degrees Fahrenheit (-12C), the ice maker will not produce ice cubes efficiently. The freezer temperature should be set between 0 and 5 degrees Fahrenheit (-18 to -15C) for the ice maker to work properly. If the freezer temperature is too high, ensure that the condenser coils are clear of debris and the condenser fan is working properly. In addition, check to see if frost has accumulated on the evaporator coils. If the evaporator coils are frosted over, part of the defrost system has likely failed. The water inlet valve is an electrically-controlled valve that opens to supply water to the dispenser and ice maker. If the water inlet valve is defective, or if it has insufficient pressure, it won’t allow water to flow through. As a result, the ice maker won’t make ice. The valve requires at least 20 psi to function properly. Make sure that the water pressure to the valve is at least 20 psi. If the water pressure is sufficient, use a multimeter to check for power to the water inlet valve. If the water inlet valve has sufficient pressure and is getting power, but the ice maker won’t fill with water to make ice, replace the water inlet valve. One component of the ice maker assembly might be defective. Since many of the ice maker components are not sold separately, you may need to purchase and replace the entire ice maker assembly. Before replacing the ice maker assembly, check the water inlet valve, water line, and fan. If none of these parts are at fault, and the freezer temperature is at least 15 degrees Fahrenheit, replace the ice maker assembly. The icemaker module is equipped with a motor that cycles the ice ejector arms or turns a tray to eject the cubes into the ice bucket. When the thermostat or sensor on the icemaker tray reaches about 15 degrees Fahrenheit, the motor cycles to release the ice cubes. At the end of the cycle, the icemaker module sends power to the water inlet valve to refill the tray with water. If the icemaker module is defective, the ice maker won’t make or dispense ice. First, depending on your model, make sure that the on/off switch is in the on position or the bail arm is in the down position. If the icemaker module has ejector blades, check to ensure that ice cubes are not stuck in the blades. There are usually test points in the module that a technician can use to further diagnose problems with the module. The home may have insufficient water pressure. The water inlet valve supplies water to the ice and water dispenser. The water inlet valve requires a minimum of 20 psi to function properly. Check the water flow and test the pressure to determine if it is at least 20 psi. Some refrigerators use an infrared beam to sense the level of ice in the ice bucket. When the ice level reaches the top of the bucket, it interrupts the infrared beam. The control board then shuts off the ice maker. When the ice level drops below the beam, the control board signals the ice maker to make more ice. If the ice level control board fails, the ice maker will stop making ice. Ensure that the ice level control board is getting power. If the ice level control board is getting power, but the ice maker won’t work, replace the ice level control board. A clogged water filter can restrict the flow of water to the dispenser and prevent the ice maker from working properly. The water filter should be replaced about every six months to maintain proper water flow and ensure water quality. The ice maker switch might be defective. It is also possible that the icemaker switch got turned off by accident. Check the switch to ensure that it is turned on. If the icemaker switch is turned on, but the ice maker still isn’t working, use a multimeter to test the switch for continuity. If the icemaker switch does not have continuity, replace it. The defrost control board determines how often to run the defrost cycle. If the board fails, the refrigerator will not go into the defrost cycle. Before replacing the defrost control board, first test the defrost heater and defrost thermostat. If the defrost heater and defrost thermostat are working properly, the defrost control board is likely defective. The defrost timer turns on the defrost heater several times throughout the day to melt any frost that may have accumulated on the evaporator coils. 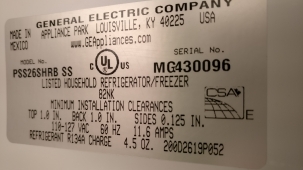 If the defrost timer is defective, it may not advance into the defrost cycle, or it may not send power to the defrost heater during the defrost cycle. To determine if the defrost timer is defective, slowly advance the dial into the defrost cycle. The compressor should turn off and the heater should turn on. If the timer does not send power to the defrost components or advance out of the defrost cycle within 30 minutes, this indicates that the defrost timer is not advancing. If the defrost timer is not advancing, replace it. The defrost heater assembly turns on several times throughout the day to melt away any frost that may have accumulated on the evaporator coils. If the defrost heater assembly is defective, the defrost system will not work, and frost will continue to accumulate on the evaporator coils. To determine if the defrost heater is defective, use a multimeter to test it for continuity. If the defrost heater does not have continuity, replace it. If the refrigerator is noisy or loud, especially when the door is opened, either the evaporator or condenser fan blade may be at fault. First, turn the evaporator fan blade by hand. If the fan blade does not turn freely, check to see if the blade is rubbing against something or if something is caught in the blade. Additionally, check the condenser fan blade to determine if it has any obstructions. When the evaporator fan motor fails, it often generates a lot of noise. This noise will be much louder when the refrigerator door is opened. If the evaporator fan is noisy, replace it. There might be something caught in the condenser fan motor blade, or the condenser fan motor bearings might be defective. The condenser fan motor is usually located underneath the refrigerator near the back. Pull the refrigerator out from the wall and remove the access panel to access it. If the noise is coming from the compressor, the compressor might be wearing out. As the compressor wears out over time, it generates more noise than usual. Compressors often last for years after they become noisy. However, if your compressor is noisy, be aware that it is likely to fail. Your compressor must be replaced by a licensed technician. If the refrigerator is noisy or loud, particularly when the ice maker is filling, the water inlet valve might be at fault. The water inlet valve is an electrically-controlled valve that opens to supply water to the refrigerator dispenser and icemaker. Over time, mineral deposits can accumulate inside the valve and restrict the water flow. If the water inlet valve is noisy or loud, replace it. Do not attempt to repair the water inlet valve—disassembling the valve can cause the valve to fail. We work 7 days a week 7 a.m.–8 p.m.
At the time you drop off a product for repair, we will schedule a time/day to look at your unit and call you that day with a repair estimate. Bread Oven Nu-Vu UB-5/10 - won’t heat - Repair in San Jose, CA. This customer’s Nu-Vu UB-5/10 Bread Oven stopped working. At first glance, everything seemed to be working fine, but with a more thorough check the tech noticed that the control board was not getting 208V power. He had to pull up the the whole power supply diagram before doing any further work. Once he was familiar with that, he started checking the wires and was finally able to find the disconnection and fix it. Most likely, one of the wires was simply defective. Refrigerator TurboAir M3R47-2 - defrosting issues - Repair in San Jose, CA. We got a call for commercial order from the Indian Street Cafe. They needed urgent help with their TurboAir fridge that had stopped working properly. During the diagnostic our technician noticed a big chunk of ice that has accumulated on the evaporator coil. Apparently the seal of the fridge was not airtight anymore. Replacing the door gaskets and the defrost sensor fixed the defrosting problem of TurboAir M3R47-2 fridge. Refrigerator GE PSC25MSTASS - making weird noise when dispensing water- Repair in San Jose, CA. Whenever the customer was trying to get some water from the water dispenser of his GE fridge, there was scary loud humming noise which seemed to be coming from where the water filter is connected. Our tech decided to try replacing the Refrigerator Water Filter Head Assembly Part #: WR17X11894 - and it fixed the problem. With the new water filter assembly the humming noise during water dispensing has stopped. Refrigerator repair near me is serious process and only experienced workers must do it. And our company is proud of such people who do their best to meet all requirements of customers. The high level of culture while serving clients allows taking the first positions on the market among other companies who offer such service. Just start to cooperate with us for the first time, and you will see many advantages which we offer. The prices are not fixed. They depend on the kind of refrigerator, on the place where you live, and on the kind of breakage. Every technician makes the test and then can tell about the concrete price. Only after your agreement he will start to repair your refrigerator in the shortest possible time. We appreciate every our client so we make a lot of efforts to solve your problems and to remove all defects and breakages quickly. Everyone can work with us because we are open for private customers, for organizations and works as well. We are happy to invite new clients who will be our regular ones in future. Our team hopes that you will be pleased with our work and you will be surprised with result in the end. Appropriate prices and excellent service will please you, so don’t put off this problem and contact us to solve the problem with your refrigerator. We are ready to help during the whole week.